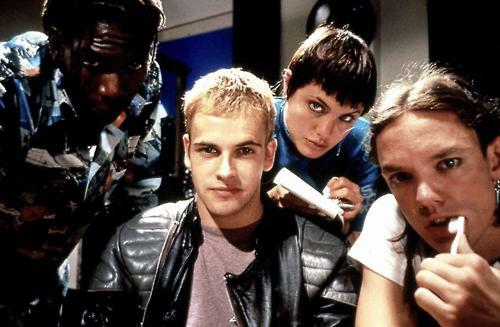 ‘Order & Chaos Online’ Gets Hacked; It’s a Good Idea to Change Your Password(s)! We’ve heard some rumblings lately about Order & Chaos Online [$6.99] accounts getting hacked, and the attacks were recently confirmed by our pals over at PocketGamer. Order & Chaos, if you’re unfamiliar, is Gameloft’s fairly blatant riff on World of Warcraft, complete with characters, monsters, and areas that might look a more than a little familiar to anyone who has played WoW before. Anyway, the cause of this security breach as well as how deep this rabbit hole goes has yet to be revealed, although Gameloft says they’re actively investigating. A thread on the official Order & Chaos forum indicates that players of both mobile and Facebook versions of the game have been hacked. If you’ve ever played Order & Chaos and you’re the kind of person who still uses the same password for everything, it’s a good idea to change all your others. While you’re at it, check out this New York Times article on creating strong passwords, and maybe even think about getting some password management software. I’m partial to 1Password myself, which basically exists for all platforms you’d ever want to access your passwords on and gracefully keeps all your data in sync via Dropbox. Migrating from a single password you use for everything to a password management suite and different passwords for everything will take a little getting used to, but consider this: Once you start doing that, security breaches like this are entirely insignificant. Thanks to 1Password, I use a different password for everything. Order & Chaos getting hacked makes no difference to me, since all anyone would ever be able to access with those login credentials is my character… As opposed to desperately hunting down every login form that you’ve used your favorite password, “password", for. Update: I was just reminded that Order & Chaos uses Gameloft’s Gameloft Live service for logins, and if that is what was compromised, if you’ve ever created a Gameloft Live account it might be a good idea to get busy with the password changin’ too.